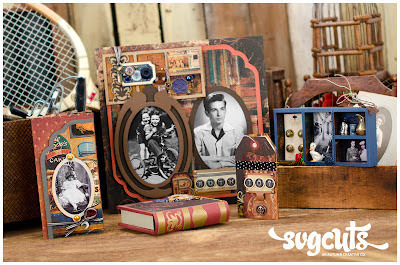 SVGCuts new kit Attic Treasures is just beautiful, I love vintage and Mary really did a great job making and putting this kit together. Here is the photo card from the kit, I used it as a regular card and added some yellow roses from the Happy Birthday to You kit and the bow from Playful Parlour. The flower paper is Echo Parks digital This and That Graceful. 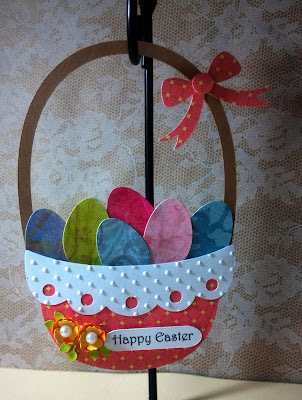 Here is my entry for the SVGCuts Spring Challenge, it's made using the egg from the Popular Street Tulips kit. The roof is from the top of the egg and the body is from the bottom of the egg. 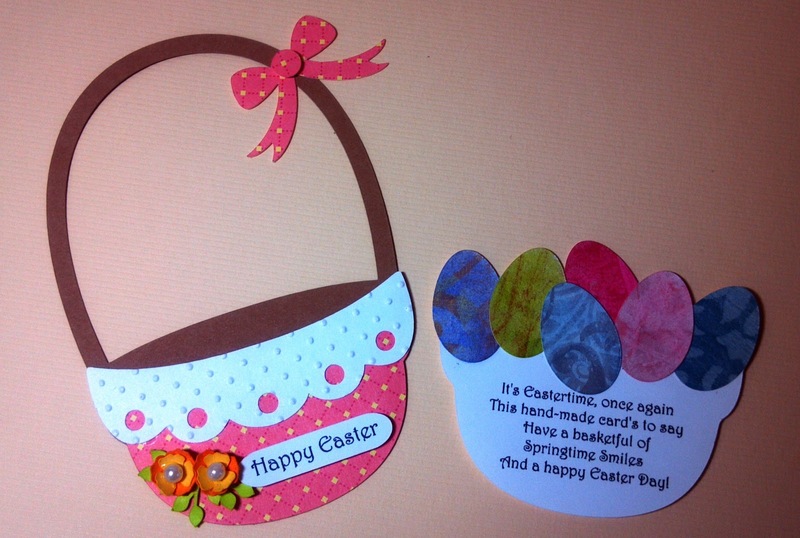 I only used the first two layers of the bottom of the egg and cut the rest off in Make the Cut. I then created 4 sections one bigger then the next to form the windmill. The blade is made using the fence from Chamomile Friendship Cards. For the windows I used the door from Playful Parlour's birdcage and the tulips are from the new collection April Avenue, I welded them to a strip and scored it so they would stand. The railing I made in MTC from an Octagon and I welded rectangles for posts around and glued another strip to form the top railing. the windmill is about 9" tall and the base is about 6 3/4". It opens in two sections so I can put the tea lights in the base and the middle sections. I really enjoyed designing and making this project, oh and the wood paper is from Echo Parks This & That Charming digital pack, the roof paper I had from somewhere. I'm trying to get a good outside picture before I submit it. I picked up a motor, I want to see if I can get the blades moving, hopefully it works!! I've been working on my Spring Challenge entry for SVGCuts and just wanted to show a sneak peek, I'm lovin' it so far, it's almost done, just have to add some embellishments and jazz up the landscaping. I used the egg from the kit Poplar Street Tulips, can you tell what it is? 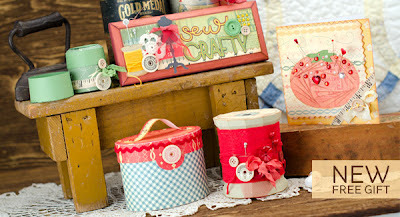 If you haven't seen the new collection April Avenue over at SVGCuts.com you must, it's simply adorable!! 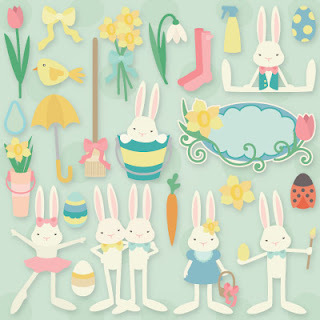 I just love the bunnies, but the whole collection is just great. 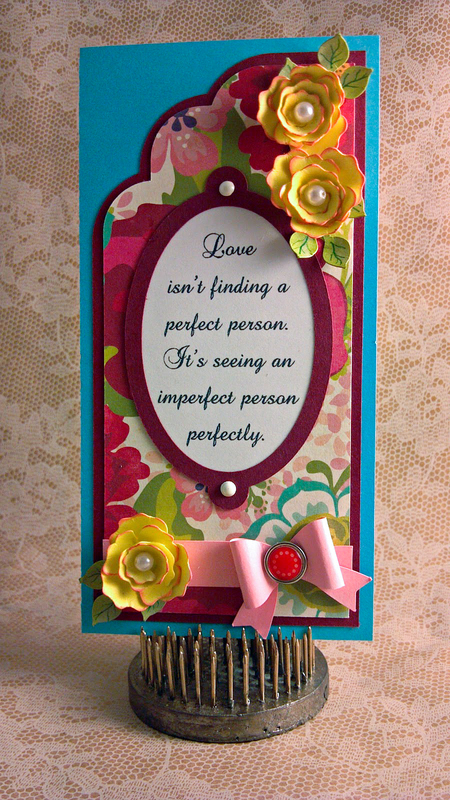 Here is a card I made using some of the cuts, I just love this umbrella too, I think I will be using this often. The eyes I made in Make the Cut, if you would like them you can download them from this link, http://irishmist59.blogspot.com/2012/02/cute-eyes-svg-and-mtc-files.html . Since they were small I did a print n cut instead of cutting them out, I explain in the link the different ways I use them. Here are a couple of projects that I just didn't have time to post. First an Angel using Echo Park's Victoria Gardens Digital Paper, I think this is my favorite paper, it's just so pretty and I love that I can print it over and over again. 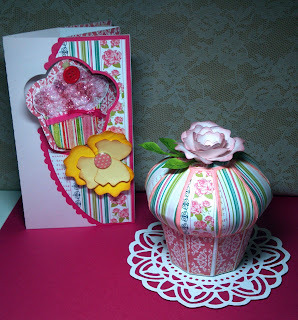 The rose is from SVGCuts.com, Happy Birthday to You kit, I love this kit, the card and cupcake down below is from this kit as is the teacup. 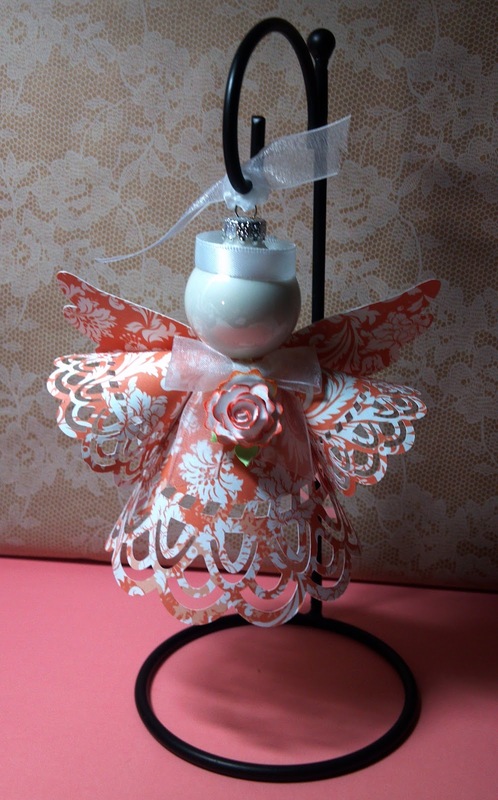 I use the Doilies Collection to make these angels. You can get the template to make this Angel here, http://fred-she-said.blogspot.com/2010/12/paper-angels-and-svg-freebies.html, Tracey, "Fred" angels are just so beautiful!! Easter basket slide out card, I made one of these two years ago with the cricut and thought this basket from SVGCuts Easter Morning Egg Hunt would be perfect. I did a print n cut for both the Happy Birthday and for the slider insert. These next two projects I used SVGCuts Happy Birthday to You kit, I just love the cupcake, and the card design is really lovely. 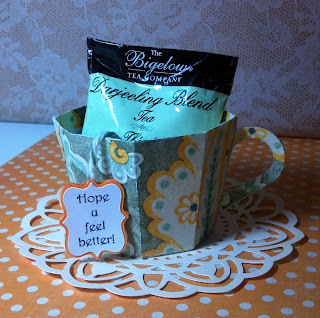 For this teacup I modified the bottom of the cupcake, took two panels off only using eight and sized the bottom from an octagon shape. The handle is made from a half of a cutout heart, it makes a cute little gift for a sick friend. 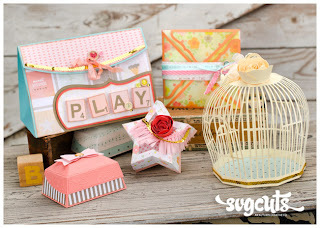 Love the Easter Morning Egg Hunt Collection from SVGCut.com!! 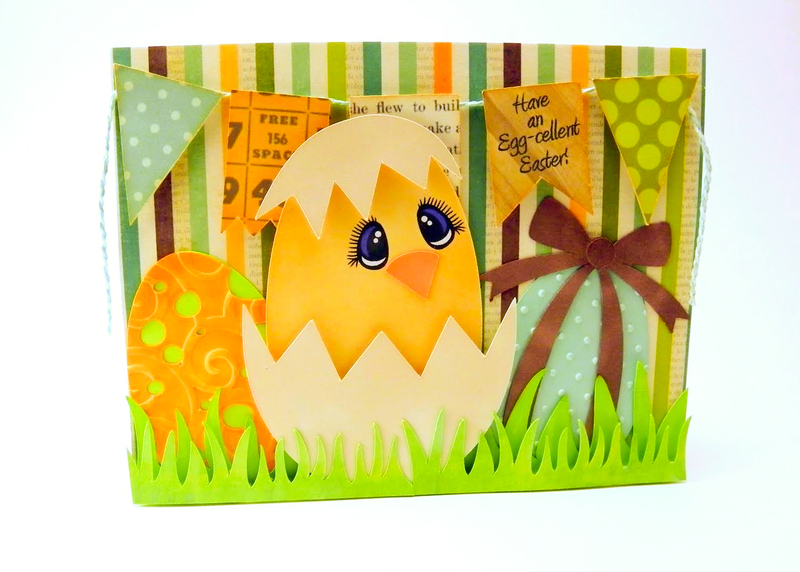 For this card I used the little chick and cracked egg and two of the Easter eggs, the banner and background paper is Echo Park's This & That Charming. I bought both of these digital kits, Charming and Graceful and just love them. I did a print n cut on the banner. If you would like the eyes I have the download under both svg files and mtc files.